Catie is a marine conservation ecologist currently pursuing a PhD at the University of North Carolina at Chapel Hill. Her passion for the ocean began at a young age, having spent the summers of her youth exploring the beaches of Rhode Island. 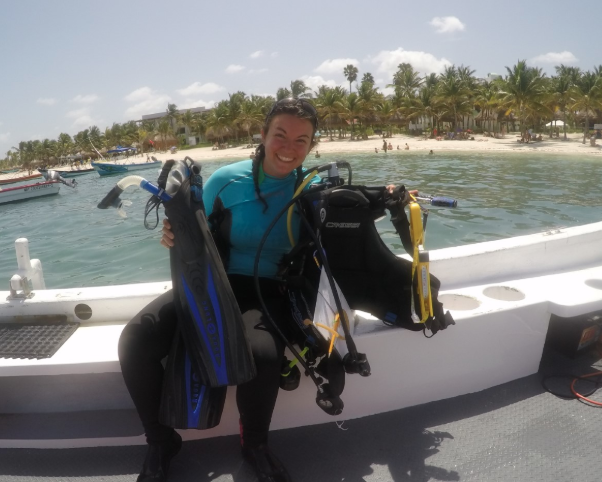 Her research interests focus on coral reef ecology, fisheries management and marine conservation efforts. She is currently evaluating the effectiveness of community-based fisheries management in Belize from social and ecological perspectives. To do this, she uses socio-economic surveys of fishers and underwater ecological surveys to determine if the program restores overfished stocks, general biodiversity, and improves the livelihoods of fishers. Her work involves collaborating with natural resource managers and marine stakeholders to build capacity and increase community engagement.